Below you fill find all funeral homes and cemeteries in or near Great Neck. Suburbs of Great Neck: Allenwood, Great Neck Estates, Great Nk, Grt Neck, GT Neck, Harbor Hills, Kenilworth, Kensington, Kings Point, Lake Gardens, Lake Success, Russell Gardens, Saddle Rock, Saddle Rock Estates, Thomaston, University Gardens, Usmma. 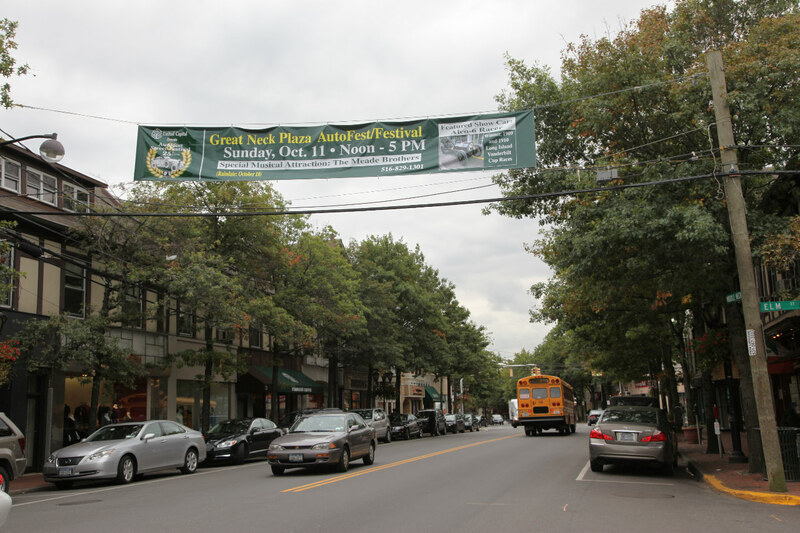 Great Neck is also known as: Nassau County / Great Neck village. Zip codes in the city: 11020, 11021, 11022, 11023, 11024, 11026, 11027. Some of the notable people born here have been: Nikki Blonsky (singer and actor), Christopher Lambert (actor and film producer), Gina Mastrogiacomo (actor), Mimi Michaels (actor), Joel Greenblatt (businessperson and investor), Laurie Puhn (author), and Steven Rattner (journalist and financier). Great Neck is a region on Long Island that covers a peninsula on the North Shore of Long Island, which includes the villages of Great Neck, Great Neck Estates, Great Neck Plaza, and others, as well as an area south of the peninsula near Lake Success and the border territory of Queens. The incorporated village of Great Neck had a population of 9,989 at the 2010 census, while the larger Great Neck area comprises a residential community of some 40,000 people in nine villages and hamlets in the town of North Hempstead, of which Great Neck is the northwestern quadrant. Great Neck has five postal zones (11020–11024) and one school district.The hamlets are census-designated places that consolidate various unincorporated areas. They are statistical entities and are not recognized locally. However, there are locally recognized neighborhoods within the hamlet areas, such as: Harbor Hills, Saddle Rock Estates, University Gardens, and Manhasset. The Manhasset neighborhood (in zip code 11030) is not considered part of Great Neck. The part of the Hamlet of Manhasset that is considered part of Great Neck includes the Great Neck Manor neighborhood. Great Neck Gardens is featured on many maps as a name of one such hamlet, even as the name is used rarely if ever by local residents. It was noted on June 8th, 2018 that Arthur D Winston perished in Great Neck, New York. Winston was 92 years old. Send flowers to express your sympathy and honor Arthur D's life. It was noted on November 17th, 2017 that Cynthia Wilson passed on in Bradenton, Florida. Wilson was 79 years old and was born in Great Neck, NY. Send flowers to express your sympathy and honor Cynthia's life. It was revealed by Sarasota Herald-Tribune on October 11th, 2017 that Thomas Kaplan perished in Sarasota, Florida. Kaplan was 80 years old and was born in Great Neck, NY. Send flowers to express your sorrow and honor Thomas's life. It was written by Chicago Tribune on January 24th, 2017 that Helen Mary "Rusty" Marshall (Bryan) passed on in Lake Forest, Illinois. Ms. Marshall was 95 years old and was born in Great Neck, NY. Send flowers to express your sympathy and honor Helen Mary "Rusty"'s life. It was noted on February 23rd, 2015 that Mary Alice Green (Hemphill) died in Great Neck, New York. Ms. Green was 72 years old. Send flowers to express your sympathy and honor Mary Alice's life. It was written by San Diego Union-Tribune on August 26th, 2014 that Sally Luster (Asher) passed away in Carlsbad, California. Ms. Luster was 77 years old and was born in Great Neck, NY. Send flowers to express your sympathy and honor Sally's life. It was noted by Sarasota Herald-Tribune on February 19th, 2014 that Aline Matthews (Wade) perished in Venice, Florida. Ms. Matthews was 101 years old and was born in Great Neck, NY. Send flowers to express your sorrow and honor Aline's life. It was noted by Orange County Register on December 21st, 2013 that Marilyn Helen "Mickey" Self (Taylor) perished in California. Ms. Self was 81 years old and was born in Great Neck, NY. Send flowers to express your sorrow and honor Marilyn Helen "Mickey"'s life. It was disclosed by Monterey Herald on May 15th, 2013 that Anne Odette Call (Hericourt) passed away in Yountville, California. Ms. Call was 95 years old and was born in Great Neck, NY. Send flowers to express your sorrow and honor Anne Odette's life. It was reported by Albany Democrat-Herald on January 18th, 2013 that Blanche Beatrice "Bebe" Barnes (Frary) passed on in Oregon. Ms. Barnes was 89 years old and was born in Great Neck, NY. Send flowers to express your sympathy and honor Blanche Beatrice "Bebe"'s life. The general trend is that the northern part of Great Neck (north of the LIRR tracks) has a greater number of Iranian families, while the southern part (south of the LIRR tracks) has a larger East Asians population. In the 1980s, an influx of affluent Persian Jews Jews who left their country following the Iranian Revolution Islamic Revolution settled in Great Neck. As of the United States 2000 Census, the village population was 9,538. Great Neck, originally called "Madnan's Neck", was settled in the late 17th century, not long after settlers landed on Plymouth Rock. Many of these families move to Great Neck for a better environment for their children as well as the well-known public school education. From the late 1990s, the Great Neck peninsula has been home to another Jewish shift. The official website for the city of Great Neck is http://www.greatneckvillage.org/. It was in 1967, on her first day in New York, that 20 ... A long curving neck rose from a dress of white plumage. Swan , my mother said, sensing my excitement. It pattered the bright water, flapping its great wings, and lifted into the sky. Funerals in Great Neck Plaza, NY 11021 on Yahoo! Local Get Ratings & Reviews on Funerals with Photos, Maps, Driving Directions and more. Great Neck Florists - Flowers Great Neck NY - United Floral Co.
We work with local florists and flower shops to offer same day delivery. You will find budget sympathy flowers in Great Neck here. Our funeral flowers are cheap in price but not in value.